Here are some pictures of our friends and places we've been to. 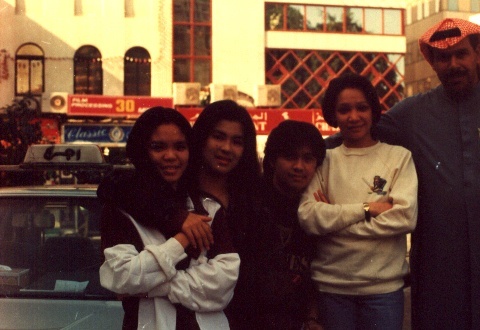 This photo was taken in Manama, Bahrain with Jonah, Bette and Ghio (of course), Tiya Neneng and ?? we forgot his name, during our stint in Diplomat Hotel. 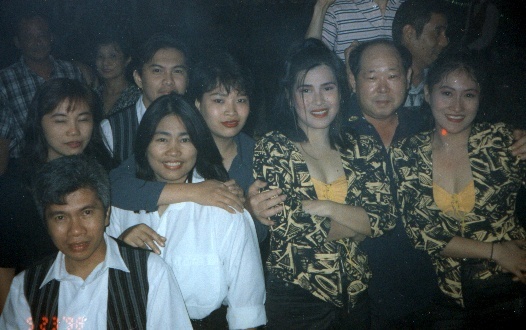 This was taken in Forte Grand Hotel in Dubai, U.A.E with our musician friends. Taken during our singing stints in Hanoi, Vietnam with some of our friends.